We are pleased to offer products from Sunoco – the official fuel of NASCAR. 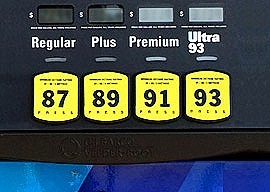 Sunoco offers 4 grades of gasoline: Regular (87 octane), Plus (89 octane), Premium (91 octane) and Ultra®93 (93 octane). Many car owners’ manuals recommend a certain octane level, but advise owners to increase octane if they detect an audible knock or unsatisfactory performance. In some cars, a higher-octane fuel may be able to boost power and efficiency, translating to better acceleration and gas mileage. Sunoco gasoline significantly exceeds U.S. Environmental Protection Agency (EPA) gasoline detergency standards. Sunoco gasoline contains other additives such as corrosion inhibitors, metal deactivators and antioxidants, which help to ensure that gasoline quality remains the same after we produce it at our refineries. 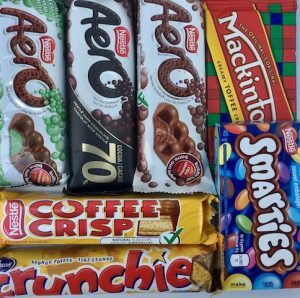 They also promote a longer “shelf life”, which means the gasoline will last longer in between uses. Our pump dispensers filter and trap particles as small as 10 microns from the gasoline before it gets into your tank. 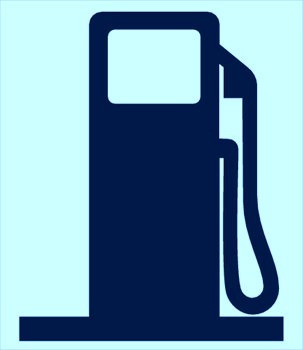 Sunoco gasoline does not contain methanol and, as stipulated by most automobile manufacturers, Sunoco gasoline contains no more than 10% ethanol. SUNOCO IS LOCAL: Sunoco Green E15 will be blended at Sunoco’s fuel facility in Marcus Hook, Pa., which provides high-performance race fuel to NASCAR teams at no cost to them. The American-grown and American-made corn ethanol will come in part from Sunoco’s new ethanol plant in Fulton, N.Y. The new fuel will be pumped directly from tankers at the track, rather than from on-site underground storage tanks. Most gasoline will last several months in a sealed, clean container – including your vehicle’s fuel tank. If you think the gasoline will be sitting unused for more than a few months, add stabilizer to the fuel as soon as you buy it. If storing fuel in a gas can, keep the container in a dry place away from direct sunlight. It’s also best not to expose the container to temperature extremes. Minimize the amount of gasoline you store for more than a few months. Fresh gasoline is still the best gasoline. Other than adding fuel stabilizer as needed, refrain from adding other chemicals and additives to your fuel. Most engine manufacturers do not advise adding anything other than gasoline to a gas tank.